A paradise for seafood lovers, the signature dish at Ritz Classic is their thali, which has four different preparations of seafood included. Dreaming of prawns and calamari? Ritz Classic has a collection of impeccably fresh seafood that is expertly made into a host of curries and flavourful preparations. 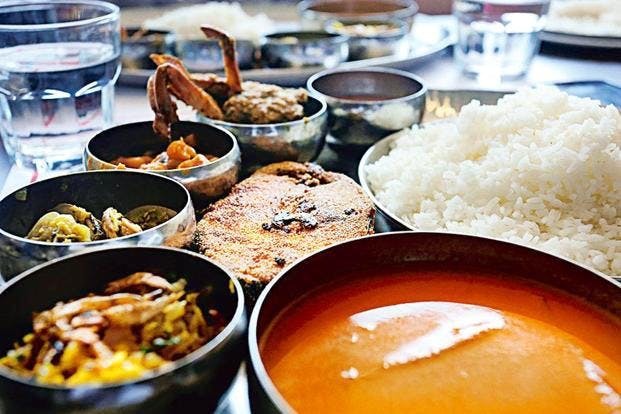 Located in the heart of Panaji, this restaurant is always packed with locals and visitors, You can try their rice and fish Curry, crab masala, fish thali, butter-garlic calamari and seer fish fry with suji. A true tribute to Goan coastal food, top your meal up with their fresh lime soda. Reasonably priced, this doesn’t have many options for vegetarians, so make sure you’re going there with like-minded foodies.